The victim was forced to a grassy area and raped. Detectives are appealing for information following a robbery in Clarkston yesterday, Thursday, March 9. 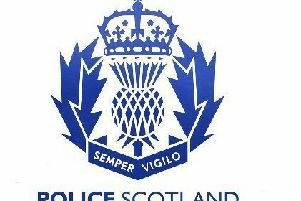 Around 4.40pm a man entered the Co-op on Eaglesham Road and presented what is described as a firearm, before demanding that the service assistant hand over money from the till. The man then made off on foot with a three figure sum of cash in the direction of Cartsbridge Road. The service assistant, a 44 year-old man, was uninjured during the incident. The suspect is described as a white man with a Scottish accent. He is around 6ft in height with a medium build. At the time of the robbery, he was wearing a black skip cap, a black bomber style jacket and dark denims. Detective Sergeant Peter Sharp, from the Community Investigation Unit based at Govan, said today: “We understand that local residents are concerned by the robbery that occurred on Eaglesham Road. We have conducted door to door enquiries and continue to assess CCTV around the area. “I would like to thank the community for the outstanding response we have already received following the incident. Given the time of day, there were a number of passing motorists who may have witnessed the incident, or seen a man matching this description running south along Eaglesham Road before turning onto Cartsbridge Road. Anyone with information is asked to contact Detectives at the Community Investigation Unit at Govan via 101.